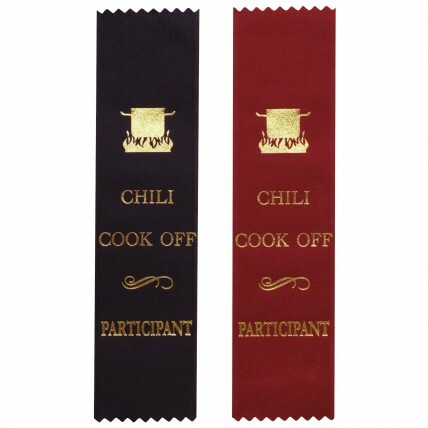 Make every entry at your next chili cook off feel special by providing Chili Cook Off Participation Ribbons! 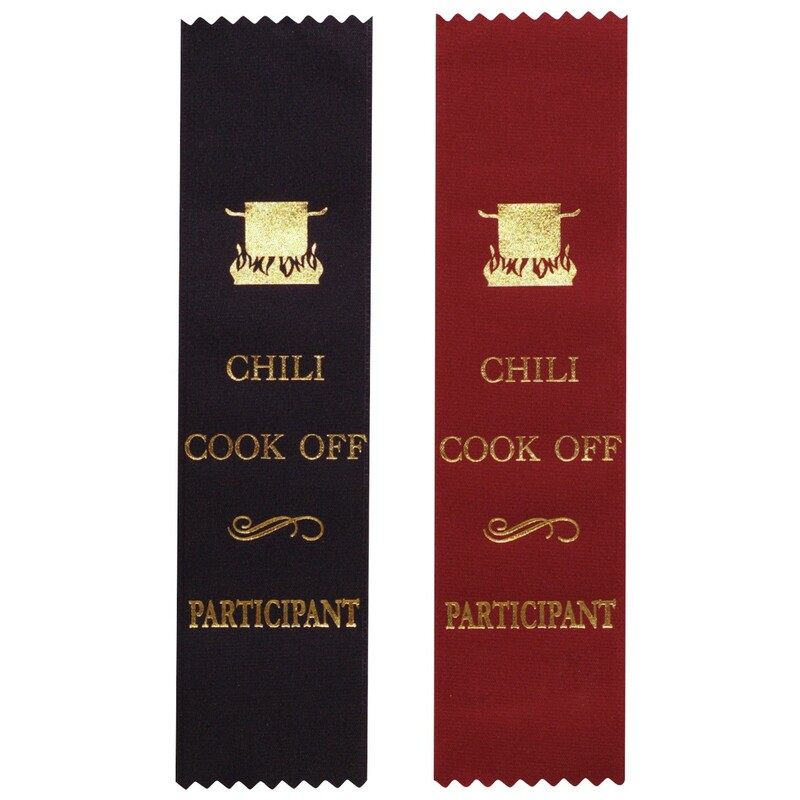 Available in sets of 10, these ribbons feature a gold foil chili pot over a flame. Underneath are the words "Chili Cook Off Participant". Available in either Maroon or Navy Blue, the ribbons measure 8" by 2".